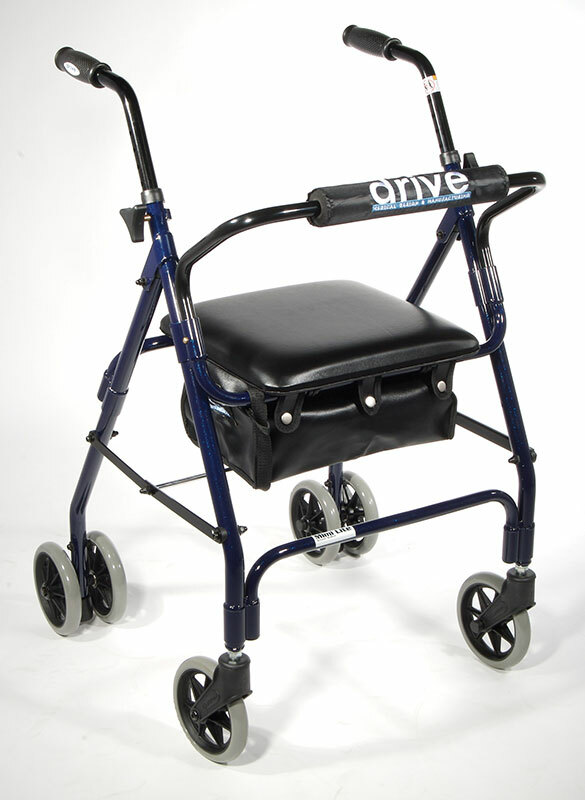 The Winnie Mimi Lite Rollator by Drive Medical comes in an attractive dark blue finish. Push down lock operates easily and ensures safety. 6" casters with soft-grip tires are ideal for indoor and outdoor use. Tool Free removable padded back rest for comfort. Comes standard with carry pouch. Handles are adjustable in height. Comfortable padded seat with zippered inner pouch. Optional basket available (Item #805). Easy, one hand folding. Limited Lifetime Warranty.